Once Upon a Twilight! : #Allegiant Tickets On Sale March 1 & New Clip! #Allegiant Tickets On Sale March 1 & New Clip! Mark your calendars, Initiates! 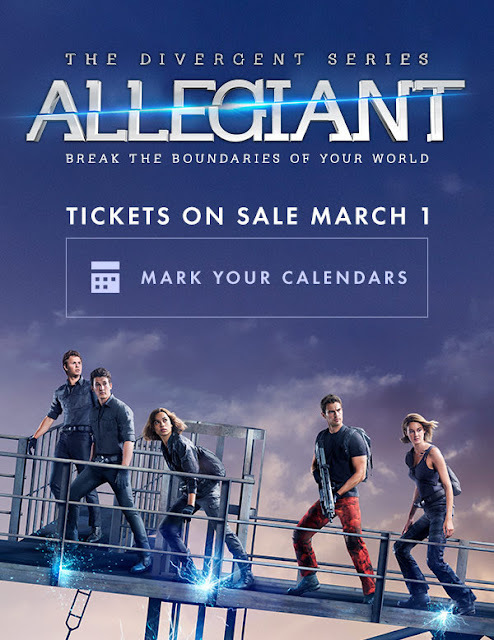 Allegiant tickets go on sale NEXT week - March 1st! Make sure to stop buy the blog too! We will be sharing lots of goodies. Click the picture below to mark your calendars!